This may be the single greatest business book ever written. You could probably read it every year, and its advice would still help you out. It is so good that these notes are simply a summary of the notes already included in the book at the end of each section. Make the other person feel important—and do it sincerely. Everybody in the world is seeking happiness—and there is one sure way to find it. That is by controlling your thoughts. Happiness doesn’t depend on outward conditions. It depends on inner conditions. Get the other person saying “yes, yes” immediately. The ability to speak is a shortcut to distinction. It puts a person in the limelight, raises one head and shoulders above the crowd. And the person who can speak acceptably is usually given credit for an ability out of all proportion to what he or she really possesses. Criticism is futile because it puts a person on the defensive and usually makes him strive to justify himself. Criticism is dangerous, because it wounds a person’s precious pride, hurts his sense of importance, and arouses resentment. …. Any fool can criticize, condemn and complain—and most fools do. But it takes character and self-control to be understanding and forgiving. When dealing with people, let us remember we are not dealing with creatures of logic. We are dealing with creatures of emotion, creatures bristling with prejudices and motivated by pride and vanity. 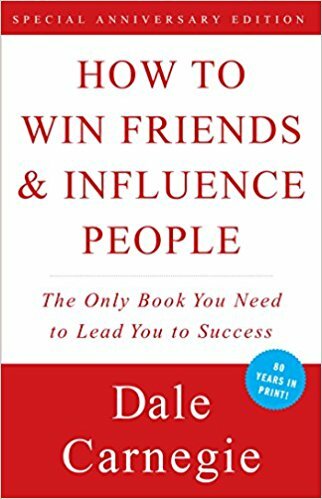 [T]he only way on earth to influence other people is to talk about what they want and show them how to get it. If there is any one secret of success, it lies in the ability to get the other person’s point of view and see things from that person’s angle as well as from your own.